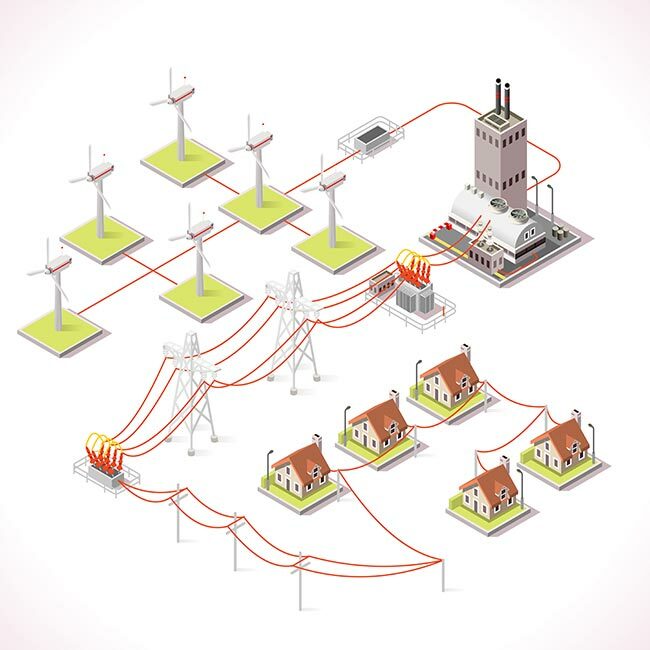 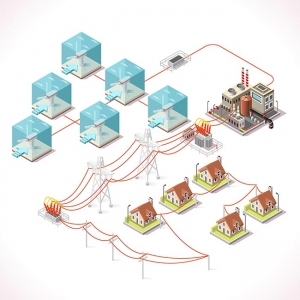 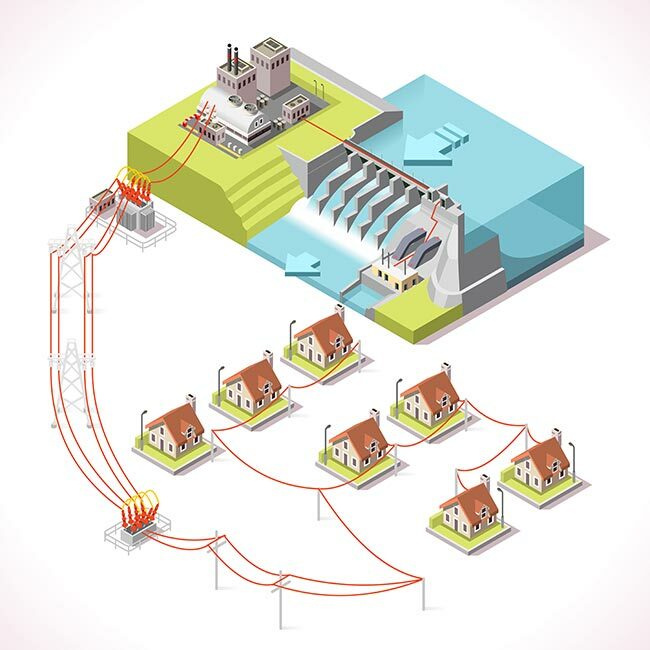 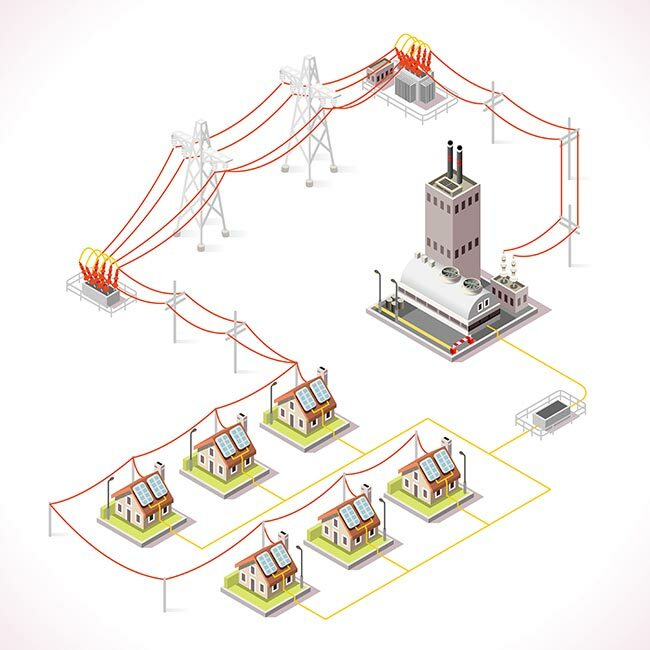 Here is a pack of isometric vectors to the field of renewable energy. 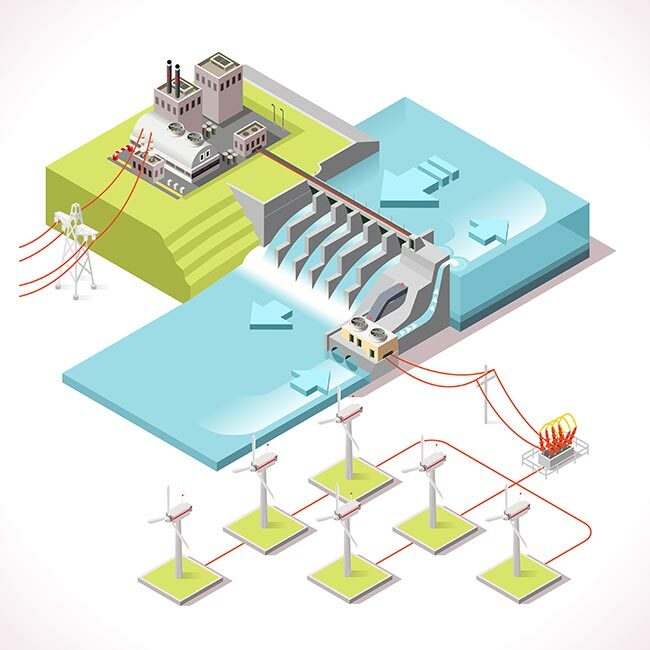 Moreover, they show us how the distribution of clean energy from solar power, hydropower and wind power work in an interactive way. 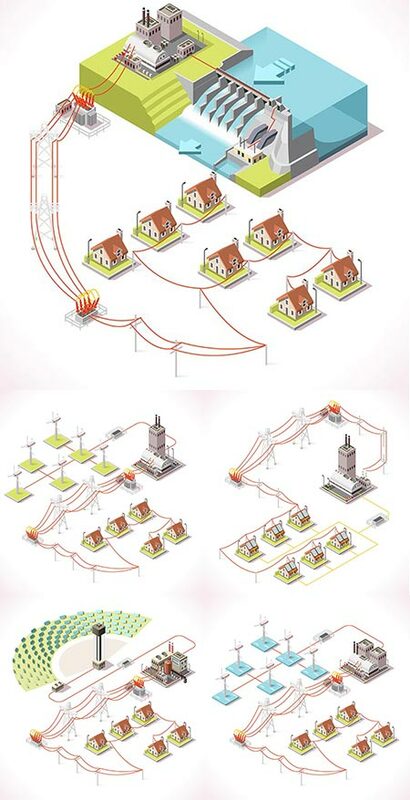 This is an interesting method to understand the benefits of alternative energy power that can help us achieve a green living on Earth. 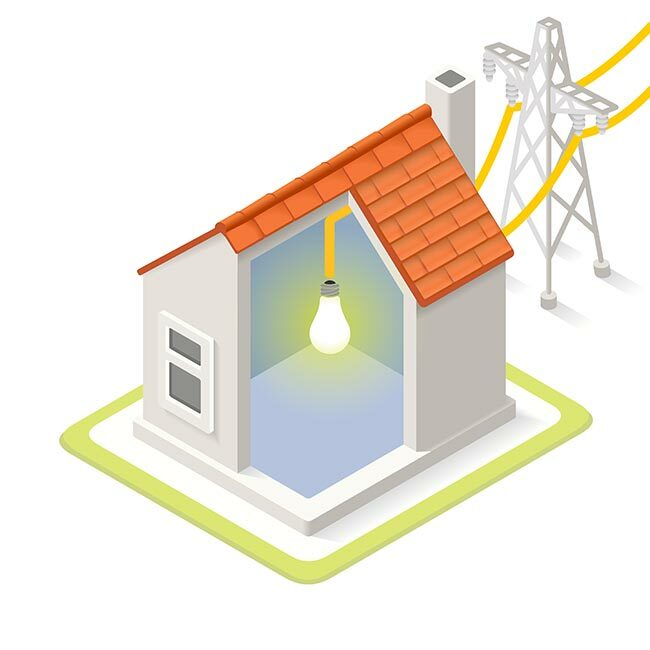 License: You can use Renewable energy distribution chain vectors for personal or educational purposes.